Journal of Ideas in Health ( JIDHealth ) is an international general medical, open access peer reviewed online journal. This journal provides a platform for new insights to improve health. 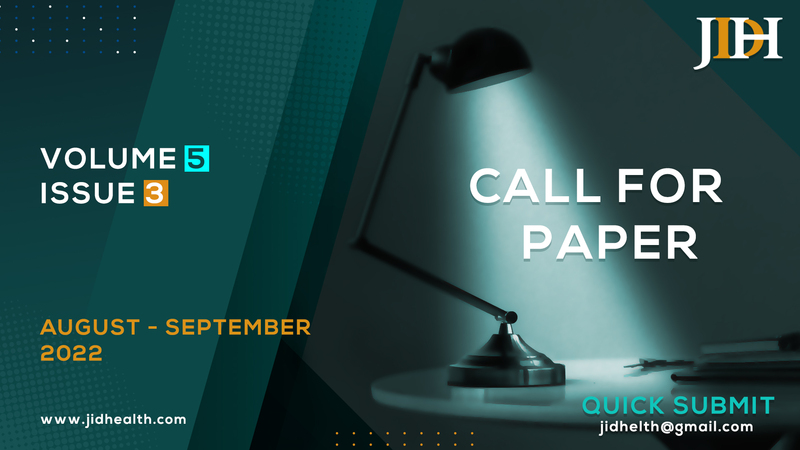 Researchers are welcome to submit their articles in all health related sub-disciplines (medical, pre-clinical and clinical research, reviews, preliminary and pilot studies). Special focus shall be given to the scientific, new and innovative ideas. All accepted articles will be published online when ready for publication (Continuously) as Article in Press.